Dust Free Paint Booth can be also termed as Dust free painting. Dust is one of the major problems in all modern paint shops and these can be a serious issue resulting higher rejection. In India, due to Dusty Environment & poor equipment design & poor process selection & lack of housekeeping as well as maintenance. Rejection due to dust in painting is higher & higher beyond imagination. Recurring rework cost for rejected component due to dust in paint shop is a major headache. DUST FREE PAINTING BOOTH or DUST FREE PAINT BOOTH or Clean room painting, are most popular because of industrial need to produce product with superior paint finish to overcome competition. Collection of information & analysis & implementation of correct steps to reduce rejection of paint components due to dust. Dust problem in Paint plant is essentially due to Bad selection of supplier, Bad equipment design, Poor understanding of supplier about customers dust free requirement & many such reasons contribute to heavy rework & rejection. There are extremely bad cases with painting plant with 50% rejection in the begging, successfully reduced by Autocoat Engineer guidance. Typical Ultra clean painting is requirement for all automobile components like bumper , exterior ABS components of car bodies , 2wheelers ., interior ABS components like dash board , instrumentation panels , door panels etc.. For ultra clean painting Dust free spray painting booth along with correct painting process with lacquer as last paint coat is a necessity. Plastic Painting Booth & ABS Plastic Painting Booth While Plastic Painting, Dust is a major problem. Design of Plastic Painting Booth should take care of exhaust of over sprayed particle should move quickly to the washing chamber. So painter distance, painting height etc..are major design factors to be understood. Autocoat has specialty design for Plastic Painting Booth. MOC or Material of construction is also extremely important. Technical information for Plastic Spray Booth and ABS plastic Paint Booth Please contact us. Ask for Free Technical Bulletins. Furniture Painting & Furniture Spray Painting In Furniture painting dust is major problem .Furniture spray painting has to done with special care. Dust saw from wood+ outside dust make the environment worst on Furniture painting. Design of Furniture Painting Booth should take care of exhaust of over sprayed particle should move quickly to the washing chamber. So painter distance, painting height etc. are major design factors to be understood. Autocoat has specialty design for Furniture Spray Booth. MOC or Material of construction is also extremely important. Technical information for Furniture Spray Painting Booth and Please contact us. 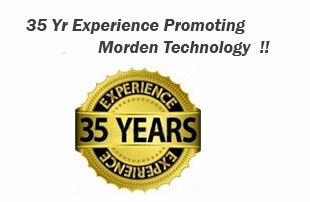 Ask for Free Technical Bulletins. 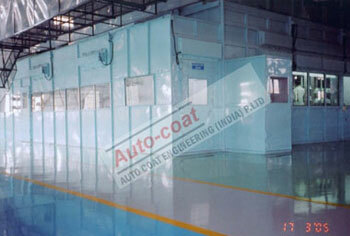 Autocoat Engineering is the most experienced Dust Free Painting Plant Manufacturer in India since last 35 years. Autocoat Engineering has been supplier Plastic Painting Booth in India among other valuable products .We have wide experience of manufacturing of Dust Free Painting Booth with different material handling and different product size , and different production volume.